Arrayit offers the market's finest class 1, 10, 100 and 1,000 cleanroom adhesive "sticky" floor mats to trap particulates and other contaminants generated at clean room doors, exits, entrances, changing areas and other cleanroom compartments. 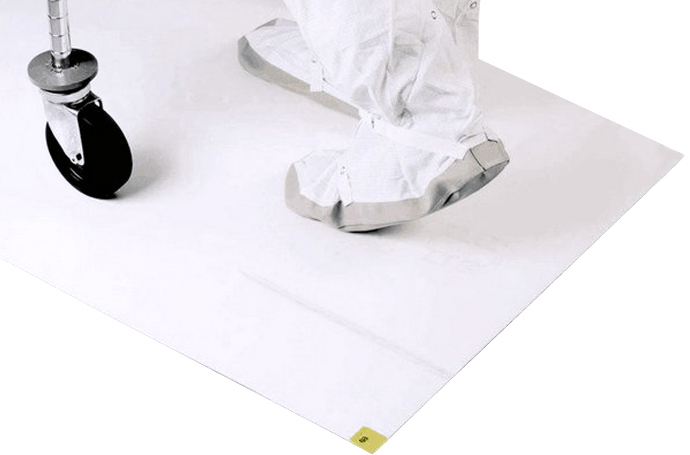 Sticky mats are highly recommended for life sciences, diagnostics, healthcare, semi-conductor and other demanding cleanroom applications, color white, 18" x 36" (46 x 90 cm), 30 peel-off sheets per mat. Due to the exacting nature of these products and the high level of quality control and quality assurance required, all Arrayit cleanroom product sales are final and non-refundable.